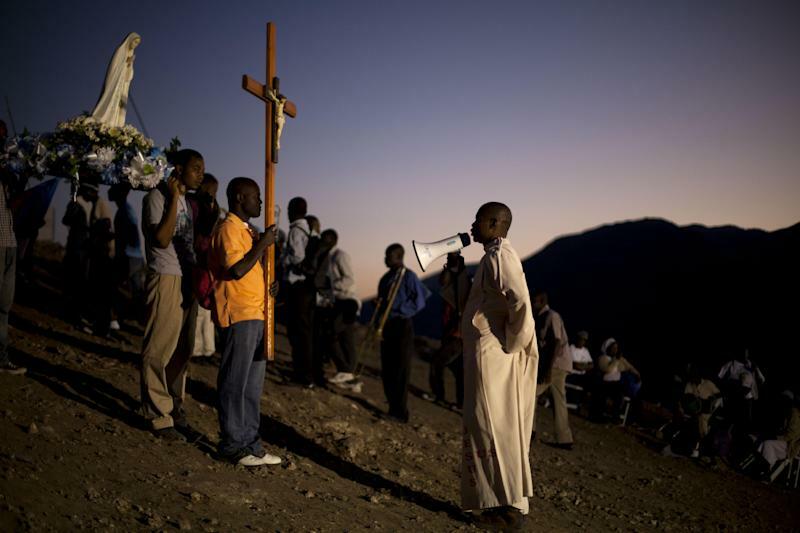 BOIS-NEUF, Haiti (AP) — The Christian pilgrims crowded a barren mountainside in central Haiti by the thousands, seeking favors and spiritual renewal. Organized over the weekend by Our Lady of Fatima Bible Center, the three-day summit was among the largest of its kind in the Caribbean nation in recent years. Although the center is Roman Catholic, the event had an evangelical feel, and some elements of Voodoo. The gathering in the village of Bois-Neuf was called "Prayer, Penance and Conversion," and participants came with hopes of a better life for themselves or others. Some brought their passports in hopes that their prayers might help them secure a visa to leave impoverished Haiti. Others held aloft photos of sick family members in hopes that their prayers would cure them. Amid the prayers, priests threaded the crowd splashing pilgrims with holy water, a gesture aimed at expelling malevolent spirits. A few people fell to the ground, shrieking as the priests prayed for bad spirits to leave their bodies. Elsewhere, women carried baskets of fruit and vegetables on their heads as offerings. 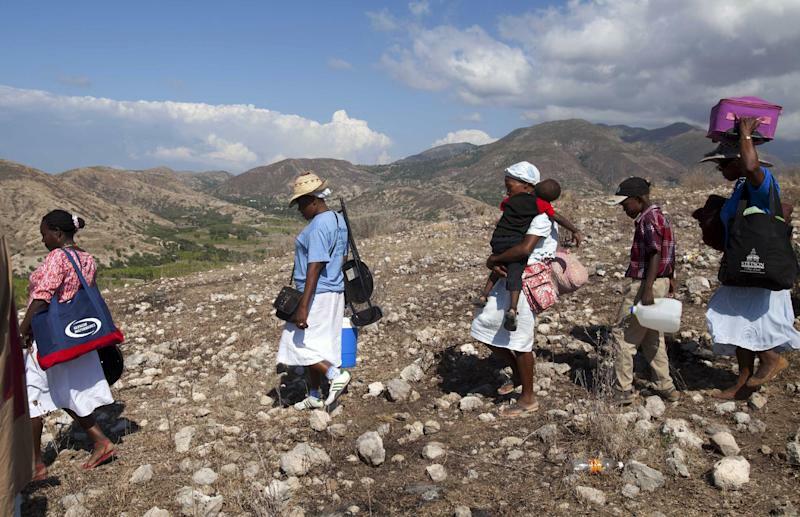 The Jan. 12, 2010, earthquake in Haiti that killed tens of thousands of people and displaced 1.5 million others was on the minds of many at the gathering, and was cited as a chief reason to have faith in God. "If we don't convert, we will have another Jan. 12, 2010 — but worse," the Rev. Jules Campion, director and founder of the center, told his congregation. 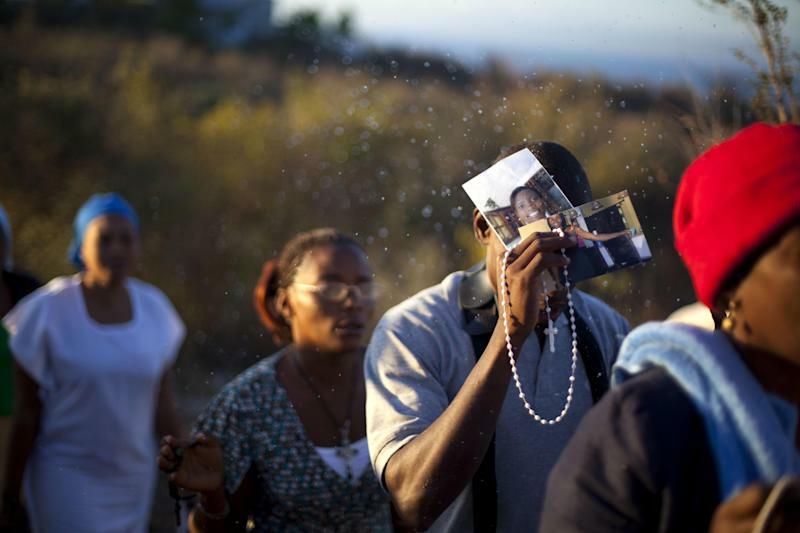 "If we don't convert Port-au-Prince won't be destroyed; it will disappear completely. You must convert!"